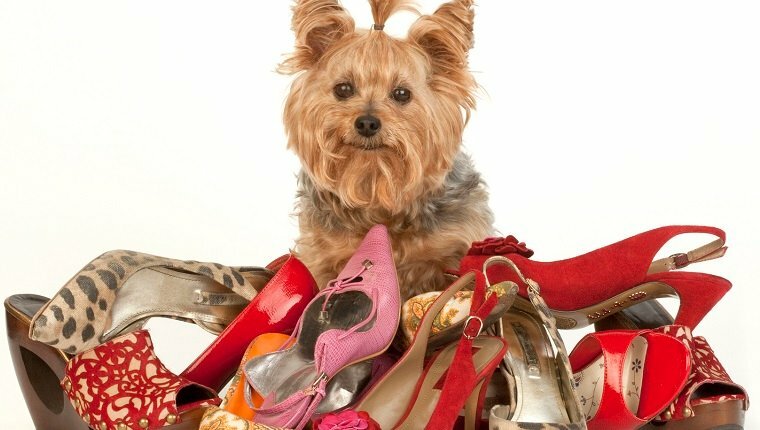 Do you want to put your shoes to good use and help shelter dogs and veterans at the same time? Healing Paws for Warriors has come up with an excellent idea to raise money for training service dogs, and you can help by donating your shoes! Healing Paws for Warriors are asking for donations of either gently worn or new pairs of shoes. The shoes will be reused and eventually funneled to developing countries. Healing Paws for Warriors will earn $10 for every 25 pairs of shoes donated. They’ll use the funds to go toward training service dogs. The trained service dogs will care for veterans with post-traumatic stress disorder (PTSD) or traumatic brain injuries. Training for service dogs costs about $5,000. Even a fraction of the cost from the donations can help. Part of the funds will also be used to rescue dogs from shelters. Healing Paws for Warriors is not the only organization that trains service dogs to help veterans. K9 For Warriors also rescues dogs from shelters and trains them to aid soldiers suffering from trauma. The training involves tasks that aid in lessening the severe PTSD symptoms they experience. “The skill sets our dogs learn help these warriors with anxiety, isolation, depression, and nightmares. So the warriors can function again in public,” said K9 For Warriors founder Shari Duval. Alleviating some of the symptoms prevents the increase of medicine dosage per soldier. PTSD symptoms sometimes require a lot of medication. The dosage increases when the treatment no longer works. K9 For Warriors has already rescued and trained over 850 dogs and helped over 440 military service members. The program has succeeded 99 percent of the time. What do you think of these noble programs for our soldiers and rescue dogs? Do you think they are a great idea for battling PTSD in traumatized soldiers? Are you planning to donate shoes to help? Let us know in the comments below.